There is increasing interest and investment in the energy sector and in particular, alternative energy production and storage devices. 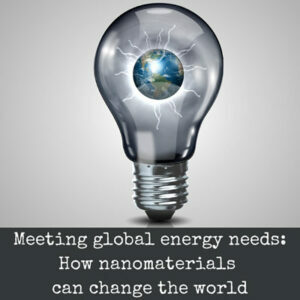 Nanomaterials and nanoparticles are playing an increasingly important role in this arena, from the use of quantum dots in photovoltaic panels, to advantages in fuel cell efficiencies that can be gained through the use of cerium nanoparticles. Click here to sign up. If you cannot attend, if you register we will send you the recording after the event.